Typical applications where the Insertion magflow meter is used are those where the extreme accuracy of Full Bore magflow meters is overkill and the 2% accuracy of the Insertion magflow will suffice. In such suitable applications Insertion magflow meters, for example Bürkert’s Type 8045, offer significant benefits with hardware savings alone reaching 75% on larger sized pipes. In service lifetime however commissioning and servicing benefits deliver greater savings. The Type 8045 Insertion magflow meter from Burkert Fluid Control Systems is suitable for pipe diameter DN6 .. 400mm and flow velocities of 0.2 .. 10m/sec (volumes 0.02 .. 4500m³ per hour). A wide range of process media is catered to with the Type 8045 suitable for media -15ºC .. 110ºC and up to 16 bar pressure. 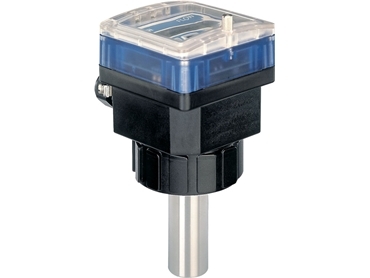 Delivering IP65 protection class, the 8045 Insertion magflow meter offers security of a different type with lockable self-enclosure for field applications. Further functional benefits include 4 .. 20mA, 2 x Relay and transistor (pulse) outputs, with data logging, batch control and totalising operations. Programming is made via 3 buttons on the fascia with readout via graphic display which is clearly visible through the self-enclosure. Bürkert offers both Full Bore and Insertion magflow meters, and has trained engineers available to assist with product specification for specific applications.